'Turkey Has Turned Into A Veritable Madhouse,' Says Intellectual Who Escaped Jail : Parallels Turkish linguist Sevan Nisanyan was jailed for breaking zoning laws. His supporters say he was punished for his writings. He escaped and fled to Greece. "I feel relieved and liberated," he tells NPR. Sevan Nisanyan, 60, recently slipped out of jail while serving an 8 1/2-year sentence for violating zoning laws. Turkish authorities have issued a warrant for his re-arrest. Over the summer, Turkey's Twitter-sphere went abuzz after the appearance of a cryptic tweet: "The bird has flown away." It was posted July 14 on the account of Sevan Nisanyan, a famous jailed intellectual, announcing he'd escaped from a Turkish prison. He had been behind bars since January 2014 and wasn't eligible for parole for another 10 years. Nisanyan, 60, is a linguist with degrees from Yale and Columbia. He is also a newspaper columnist and travel writer who's penned several guidebooks about his native Turkey. And he's a self-taught architect who renovated his home village of Sirince in the hills above the Greco-Roman ruins of Ephesus, turning it into a tourist attraction on Turkey's Aegean coast. That's what got him in trouble — or so the authorities say. Nisanyan was convicted and sentenced to 8 1/2 years in prison for violating zoning laws in Sirince. After living in Istanbul and abroad, he had moved home in 1995 and started renovating dilapidated old houses into boutique hotels. He also built a mathematics village and summer camp for schoolchildren. But because of its proximity to the protected ruins of Ephesus, Sirince too had been declared a protected area. Nisanyan's projects were illegal. Nisanyan, his supporters and some Turkish human rights activists contend he was being persecuted for his sometimes irreverent writings. In late July, Nisanyan surfaced in Greece, where he received a temporary resident permit and has applied for political asylum. Sevan Nisanyan was convicted and jailed for violating zoning laws in Sirince, his home village in western Turkey. NPR reached Nisanyan through Facebook, and conducted an interview with him this month via email, in which he said his time in prison was "extremely boring." "I was treated decently, but very strictly," he wrote. "Turkey has turned into a veritable madhouse in the last few years. I feel relieved and liberated for getting out of that insane pressure chamber." It's rare for someone to be sent to prison in Turkey for illegal construction. Normally, says Ali Nesin, Nisanyan's friend and former neighbor in Sirince, violators pay an administrative fine and sometimes authorities tear down the building. "The law was so strict, no one could even repair their own home or even build a wall in the garden," Nesin told NPR in a telephone interview. "Lots of people just did it illegally, but Sevan was open about going ahead with construction and challenging the state. Finally, the state responded pretty severely." Nisanyan's supporters point out that on taking office, Turkish President Recep Tayyip Erdogan began construction on a $350 million presidential palace with 1,000 rooms — in an Ankara forest with the same protected status as Sirince. They say Nisanyan's case also reveals a strain of anti-intellectualism in Turkish politics — and discrimination against ethnic minorities. Nisanyan is a Turkish citizen of Armenian descent. While Nisanyan was in jail, Turkey stepped up its purge of voices critical of Erdogan's government. Rights groups say more than 150 journalists are in custody. Aid workers, including the local head of Amnesty International, were arrested over the summer. Since a failed coup last year, Turkey has fired some 150,000 employees from the public sector and detained more than 50,000 people for alleged links to the coup conspirators. Before going to prison, Nisanyan did a photo shoot for a Turkish newspaper, in which he posed defiantly — shirtless in a bathtub, raising a glass of red wine. Even while he was in jail, new convictions piled up. He was sentenced to another 13 months for insulting Islam's Prophet Muhammad in a September 2012 blog post about hate speech, which referred to Islam's founder as "an Arab leader who claimed he contacted Allah hundreds of years ago." Nisanyan wrote that "making fun of" the prophet as a historical figure "is not hate speech." "It is an almost kindergarten-level test of what is called freedom of expression," he wrote. An infamous provocateur, Nisanyan also wrote a 2008 book titled Wrong Republic, in which he criticized modern Turkey's founder, Mustafa Kemal Ataturk. 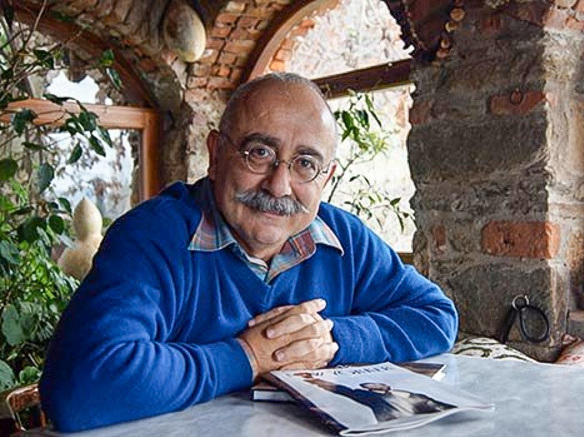 "Criticism towards the founding fathers, especially coming from an outsider Armenian writer, was not taken well," Turkish historian Sait Çetinoglu wrote in a column last year. He said the government tried "to defame Sevan." Nisanyan's own eccentric behavior didn't help his reputation going into these legal cases. His wife reportedly sued him once for allegedly throwing a jar of his own excrement at her during an argument. They later divorced. "Sevan is a very sharp-tongued person. He disturbed a lot of people, and there was animosity against him," his friend Nesin said. "He's not part of any group. He cannot be classified as left or right. The republicans hate him, and the religious hate him too." Initially held in a high-security prison, Nisanyan was transferred in March to a minimum-security facility, where he could check himself out on a furlough once every three months. That's what he did in mid-July — and never checked back in. Turkey has issued a warrant for his re-arrest. He's listed as a fugitive from the law. Nisanyan told NPR he hopes to win asylum and live out his days on the Greek island of Samos in the Aegean Sea, from which he can look across the water and see the hills of his hometown. 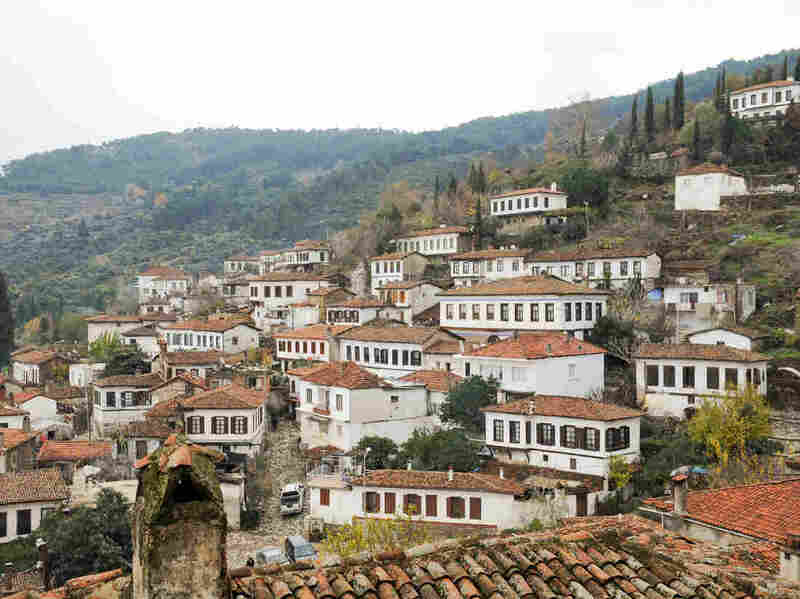 "I am not a particularly nostalgic person, but being near Sirince has certain practical advantages when it comes to organizing tours, workshops, conferences, etc.," Nisanyan wrote to NPR. "Unfortunately my ability to speak Greek is rather limited, and that causes me to feel a little like fish out of the bowl. But I am sure I will adapt within a year or two." On July 31, Turkish authorities announced plans to demolish 128 illegally renovated buildings in Sirince — including Nisanyan's own house. The demolitions have not yet been carried out, Nisanyan said. "The authorities seem very relieved by my departure," Nisanyan wrote. "I hope that the bureaucratic problems they created and cultivated over the years in Sirince will slowly disappear now that I am out of the picture."